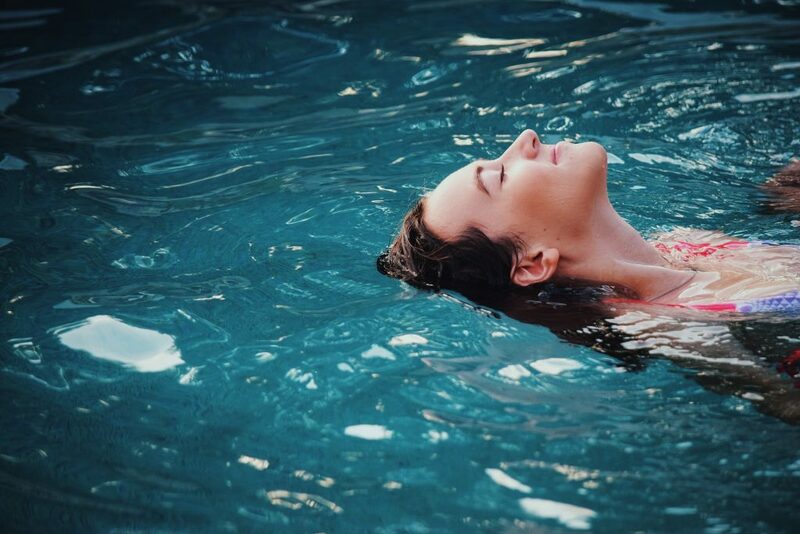 Floating allows your muscles to relax and your mind to reset. I’ll have more of that, please. Like any new experience, I am apprehensive at first. After showering, I slip into the floatation pod, reach up and close the covering overhead. I lay back, floating at near zero G in a shallow bath of Epsom salts. There is mood lighting and ambient music–or darkness and silence. You choose. Time passes. I begin to relax, the tension gradually ebbing away from body and mind. Thoughts surface and drift away. After an hour I slide out and shower again. The experience is called Reduced Environmental Stimulation Therapy (REST). A one-hour session is compared to hours of deep restful sleep. It lowers cortisol levels, the hormone produced by chronic stress, and can provide relief to those suffering from chronic pain. In his office there is a digital fireplace and nature scenes on the walls. A sign reads: “There are no shortcuts to a place worth going.” I was in that place. We discussed the frenetic pace of modern life; how people are often in a rush, reaching for something new, rarely satisfied. There is also a “chillax” room, a massage room and a lending library is in the works. There is a sensory room, a wonderful playroom for children of all ages filled with lights, mirrors and cushions that help people to tune into their senses, experiment and relax. Child therapists can use the space. Children can use it when their parents are in the pod. Adults can use it too. The pods are for anyone. They provide a novel way to relax your body and reset your mind. In deep relaxation, your muscles may even start to twitch as the fibres literally unhook from the tense positions they are holding. Floating also helps with proprioception—the body’s ability to orient itself in space. It is used by athletes who include visualization exercises as they prepare for competition. “It takes you beyond thinking,” says Buckley. “In our society we are male-centric, very game and competition oriented,” he says. “Relationships take a backseat. We need to have good relationships, including with ourselves.” Floating tips us into the sympathetic nervous system. We relax and reflect. Buckley also treats those with post-traumatic stress disorder (PTSD). The field is being enhanced by brain imaging studies that create a neurological basis for treatment. “People hear about war veterans, but lots of people have PTSD,” he says. In the case of trauma, there are three responses: fight, flee or freeze. In response to danger, the limbic system (emotional brain) decides if it is appropriate to fight back, to flee or to freeze. There is no time for the limbic system to consult the cortex (rational mind). Freeze is an extreme version where even the body shuts down. You withdraw and play possum; even your posture becomes floppy. This may allow you to survive a beating or an accident, like a mouse playing dead when attacked by a cat. One form of treatment after trauma is to have the person talk with others who were on the scene. Unlike flashbacks and disruptive thoughts, the memories come up in a way that is not over-threatening. This can be somatic, where the body makes a sensory connection to the memories by posture and movement, allowing the limbic system to connect with the cortex. First responders like police and firefighters are taught a technique called “fire and ice,” where they learn to separate themselves from the emotion of the event. This allows them to do their job in the midst of difficult circumstances. But what to do afterwards is not taught. One technique is to bring everyone together later to re-create the event as a group experience. It becomes a bad memory that will gradually fade, which is better than the flashbacks and intrusive thoughts associated with PTSD. It allows the person to reintegrate. PTSD is just an extreme version of the stresses of ordinary life that we all fall prey to. Floating gives you a chance to reconnect with yourself and to reflect on your life and the choices you make. So you are living your life and not just reacting to circumstances. I will be back.